They Shall Not Grow Old, a film dedicated to Jackson’s grandfather who fought in the British Army in the first World War, tells the story of the actual people who served and fought. It’s about their day to day life in the thick of the war. Life in the mud, fighting for survival, trying to still be alive by the time it was all over. And it’s all told by the soldiers themselves via archival footage. It’s not just a traditional History Channel style documentary though. Jackson is known for his drive to constantly advance technology in cinema, and what he does with They Shall Not Grow Old is downright amazing. Starting with almost 500 hours of small, low quality, low resolution, dirty, stretched out, faded and degraded footage from over 100 years ago on loan from the BBC and the Imperial War Museum, he managed to have his team clean it all up, enhance it to full wide screen resolution, colorize it and convert it to some of the best most realistic 3D you’ve ever seen. This world that only our grandparents lived through comes to life in a way that almost seems like it shouldn’t be possible. After the credits rolled at the special Fathom Events screening, Peter Jackson and his crew go into the process of making the film, and in my opinion, it’s almost more interesting than the film itself! The painstaking detail they get into about rebuilding the film and fixing it all, as well as the 3D conversion process and the need to add sound effects and dialogue (the original footage was all silent), is incredibly fascinating, especially to a technology nerd such as myself. There’s never been anything quite like what Peter Jackson pulled off here. 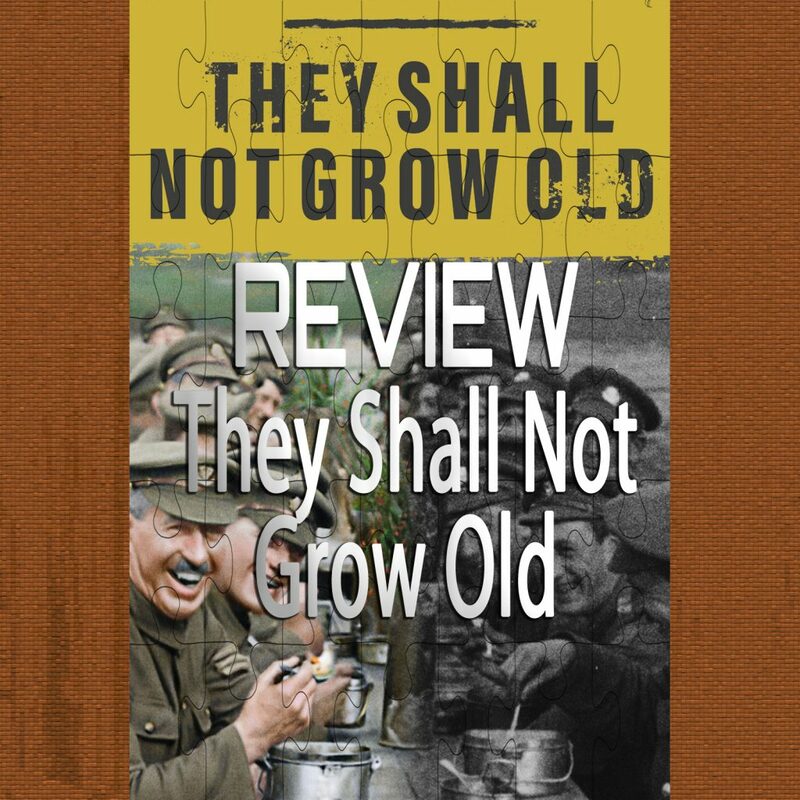 They Shall Not Grow Old is a movie that should be experienced in the cinema while you still can. It would still be a solid documentary at home I’d imagine, but the theater is where it’s meant to be seen. And if you’ve got a parent or grandparent that you can bring with you, even better.